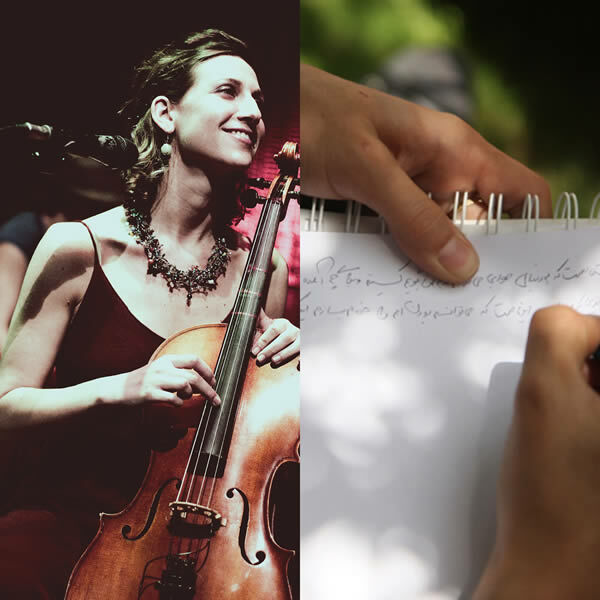 Dubinsky, who is also a cellist, guitarist, and dancer, was inspired to work with an Afghan Women’s Writing Project writer after participating in the Passerine Project musical benefit in December. Be among the first to hear their song on January 29th at 7pm Rockwood Music Hall, Stage 3, 185 Orchard Street, New York City. 21 and Over. $12 cover. Photos: Eleanor Dubinsky by David Chacon; AWWP workshop by Cheney Orr.